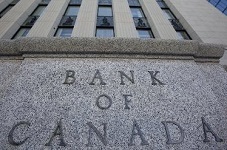 The Bank of Canada may hold off on hiking rates until the U.S. Federal Reserve decides to raise its own, argues Fidelity Investments. Bank of Canada Governor Stephen Poloz has state that the overnight interest rate will remain at one per cent – the mark it has been at since September 2010 – until the Canadian market stabilizes. Poloz had previously stated that the interest rate will be increased once inflation reaches the bank’s target of 2%. But with Fidelity’s recent speculation, will that, alone be enough? The Federal Reserve has also held its overnight lending target for a number of years – since April 2008 – allowing it to fluctuate between zero and 0.25%.